Join us for a screening of this Mel Brooks classic comedy. 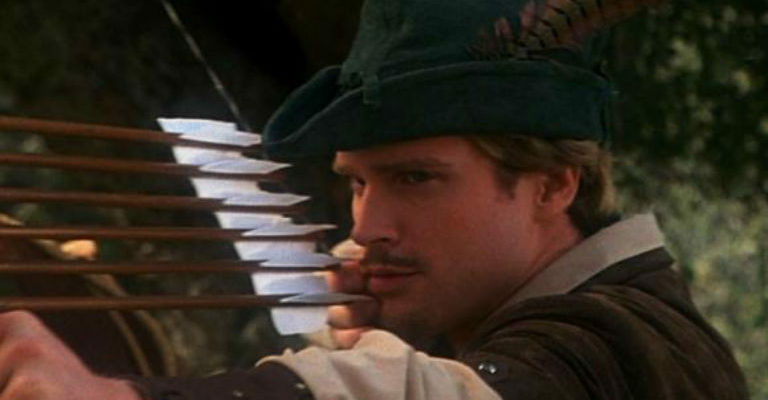 Robin Hood: Men in Tights is a 1993 American musical adventure comedy film and a parody of the Robin Hood story. The film was produced and directed by Mel Brooks, co-written by Brooks, Evan Chandler, and J. David Shapiro based on a story by Chandler and Shapiro, and stars Cary Elwes, Richard Lewis, and Dave Chappelle in his film debut. It includes frequent comedic references to previous Robin Hood films (particularly Prince of Thieves, upon which the plot is loosely structured, Disney’s Robin Hood, and the 1938 Errol Flynn adaptation, The Adventures of Robin Hood).